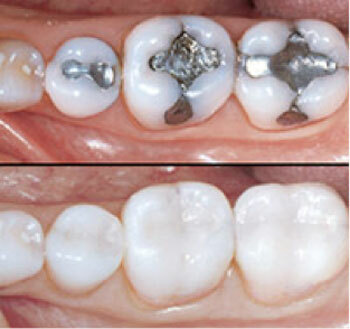 White fillings are an aesthetic alternative to amalgam (silver) fillings. Nowadays, technology has allowed us to place white restorations that are strong and durable. At Haly Dental Care we use ‘3m composite’ as it is considered to be the best available in the world dental market. Root canal treatment has a success rate of over 95% and with the administration of anaesthetic, is a procedure that can be completed with no discomfort. Infection within your tooth can be caused if the tooth has received a heavy blow or simply from advanced decay. Dental technology allows us to avoid extraction, keeping your natural tooth. 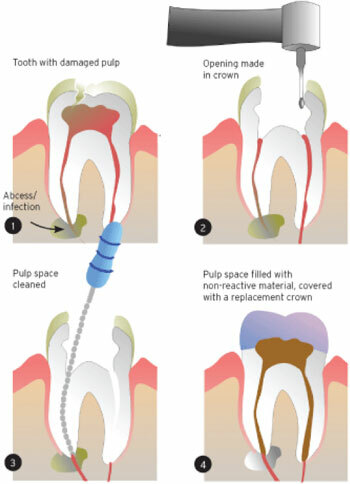 We remove the infected pulp, seal and protect your root canal and restore your tooth with either a filling or a high quality porcelain crown. Regular visits to the dental hygienist will maintain a healthy smile. Bonding is a procedure in which a durable resin material is applied to a natural tooth to restore or improve a persons smile. Here at Haly Dental Care we want our patients to smile with confidence. We offer a range of teeth whitening treatments including brands such as Opalescence and Colgate. Now from one of the fastest growing whitening brands, Colgate Max White offers dramatic whitening in a professional take-home kit for fast, safe, and effective results. Using sensitivity toothpaste when bleaching is helpful. Repeat treatment every 3-6 months or when needed. Fast and effective professional-strength whitening, from the comfort of home. Polanight 16% carbamide peroxide is the ideal strength to use. We recommend you use Polanight for 10-14 days. Leave dental trays in mouth for 60 minutes to begin with and then build up to wearing them over-night. (A minimum of 4 hours). You must wait for at least 2 hours before you drink, eat or smoke. 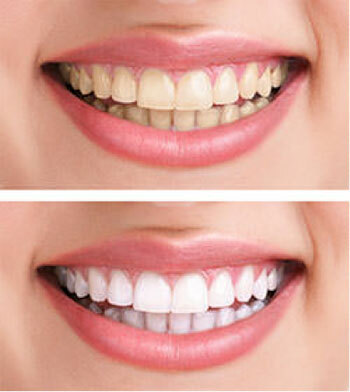 Do treatment for 10-14 days and if you want to increase whitening. Have one week off then do an extra 6 days of treatment. Repeat treatment every 3-6 months or when needed. Store Pola gel in the fridge out of the reach of children. Always read instructions carefully. Be patient and never over bleach your teeth.